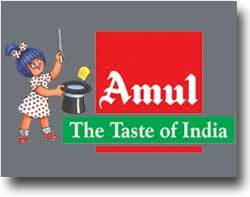 Amul India began when milk became a symbol of protest which was founded in the year 1946 to stop the exploitation by middlemen, which was eventually inspired by the freedom movement. The seeds of such an unusual saga were sown more than 65 years back in Anand, which is a small town in the state of Gujarat in Western India. The exploitative trade practices followed by the local trade cartel triggered off the cooperative movement. Angered by such an unfair and manipulative practices followed by the trade, the farmers of this particular district approached the great Indian patriot Sardar Vallabhbhai Patel for feasible solution. He then advised them to get rid of middlemen and form their own co-operative, which would have procurement, processing and marketing under their control. In 1946, the farmers of Anand town area went on a milk strike refusing to be cowed down by the cartel. Under the inspiration of Sardar Patel, and also the guidance of leaders like Morarji Desai and Tribhuvandas Patel, they formed their own cooperative in the year 1946. This co-operative was in Kaira. The District Co-operative Milk Producers Union Ltd. began with just only two village dairy co-operative societies and 247 litres of milk and today is better known as Amul Dairy. Amul grew mostly from strength to strength thanks to the inspired leadership of Tribhuvandas Patel, also the founder Chairman and the committed professionalism of Dr Verghese Kurien,who was entrusted the task of running the dairy from 1950. The then Prime Minister of India, Lal Bahadur Shastri had decided that the same approach should become the whole basis of a National Dairy Development policy. 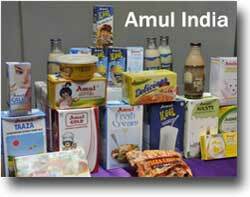 He understood that the success of Amul could be mostly attributed to four important factors. The farmers owned the dairy, and had their elected representatives manage the village societies and the district union, they employed professionals to operate the dairy and manage its business. Most importantly, the co-operatives were sensitive to the needs of farmers and responsive to their demands. At his instance in the year 1965 the National Dairy Development Board was set up with the basic objective of replicating the Amul model. Dr. Kurien was chosen to head the institution as its Chairman and asked to replicate this model throughout the country.The Amul model has helped India to emerge as the largest milk producer in the world. More than 15 million milk producers pour their milk in 1,44,246 dairy cooperative societies across the country. Their milk is processed in 177 District Co-operative Unions and marketed by 22 State Marketing Federations, ensuring a better life for millions. Gujarat Cooperative Milk Marketing Federation Ltd. (GCMMF), is India's largest food product marketing organisation with an annual turnover of (2012-13) USD 2.54 billion. Its daily milk procurement would be approx 13 million litres per day from 16914 village milk cooperative societies, 17 member unions covering 24 districts, and 3.18 million milk producer members. GCMMF is India's largest exporter of Dairy Products and has been accorded a "Trading House" status. Many of its products are available in USA, Gulf Countries, Singapore, The Philippines, Japan, China and Australia. For its consistent adherence to the quality and the customer focus and dependability, GCMMF has received numerous awards and accolades over the years. GCMMF has received the APEDA Award from Government of India for Excellence in Dairy Product Exports for the last 13 years. For the year 2009-10, GCMMF was awarded the "Golden Trophy" for its outstanding export performance and contribution in dairy products sector by APEDA. It had received the Rajiv Gandhi National Quality Award in1999 in Best of All Category. In 2002 GCMMF bagged India's Most Respected Company Award which was instituted by Business World. In 2003, it was awarded The IMC Ramkrishna Bajaj National Quality Award - 2003 for adopting noteworthy quality management practices for logistics and procurement. GCMMF is the first and only Indian organisation to win topmost International Dairy Federation Marketing Award for probiotic ice cream launch in 2007. The Amul brand is not only a product, but also a movement. It is in one way the representation of the economic freedom of farmers. It has given farmers the courage to dream, to hope and to live. A devastating earthquake (Richter scale - 7.9) hit Gujarat on 26th January 2001. The epicenter of the quake was located in Kutch district. It caused death of thousands of people, tens of thousands were injured, and also hundreds of thousands were rendered homeless and damage of billions of Rupees was done. GCMMF formed a specific organization named "Amul Relief Trust" (ART) under the Chairmanship of Dr. V. Kurien in 2001 which was with a donation of Rs. 50 Millions for reconstruction of of the school buildings damaged in the 2001 earthquake in the Kutch area. The Trust had reconstructed 6 schools damaged by the above earthquake at a cost of Rs. 41.1 millions in Kutch area. GREEN GUJARAT TREE PLANTATION CAMPAIGN BY MILK PRODUCERS OF DAIRY COOPERATIVES. Amul Coops had planted more than 311.98 lakhs trees. Milk Producer members of Gujarat Dairy Cooperatives which is better known as AMUL have been celebrating the nation's Independence Day in a novel manner by planting lakhs of saplings mostly accross Gujarat and have taken up an ambitious plan to save the environment by planting trees, making India green and also thereby reducing the effects of global warming. The milk producers of Gujarat Dairy Cooperatives have been conducting mass tree plantation drive every year on Independence Day. The most striking feature of these entire programmes was that it has been initiated by milk producer members of the dairy cooperatives. The unique fact about the programme was that the milk producer members took up the oath to protect tree saplings till it survives and grows into tree. Over the years, due to the intensive agriculture and dairying various natural resources are getting consumed at faster pace in Gujarat state of India. The state level apex body of dairy farmers in Gujarat gave a serious thought in this direction and discovered a novel idea for giving back to nature. The idea was "one member one tree" planting. The Village Dairy Cooperative Societies of Gujarat as a mark of respect for our nation have accepted 15th August (Independence Day) as a "Green Revolution Day by Afforestation to Protect Mother Earth from Pollution, Climate change and Global Warming". GCMMF won the SAP Award for Customer Excellence (SAPACE) 2013 under the category of "Best Run Award in Finance"